Written by Jane Jolly and illustrated by Robert Ingpen, published by National Library of Australia. CBCA 2015 Honour Book – Eve Pownall Award for Information Books. CBCA 2015 Notable Book – Younger Readers, Picture Book and Eve Pownall Award. WINNER: Australian Book Industry Awards (ABIA) Small Publisher’s Children’s Book of the Year. The Tea and Sugar train only came once a week on a Thursday. But the special Christmas train only came once a year. Four more days without sugar. Four more days until the Christmas train. Please, please be on time. Please don’t be late. 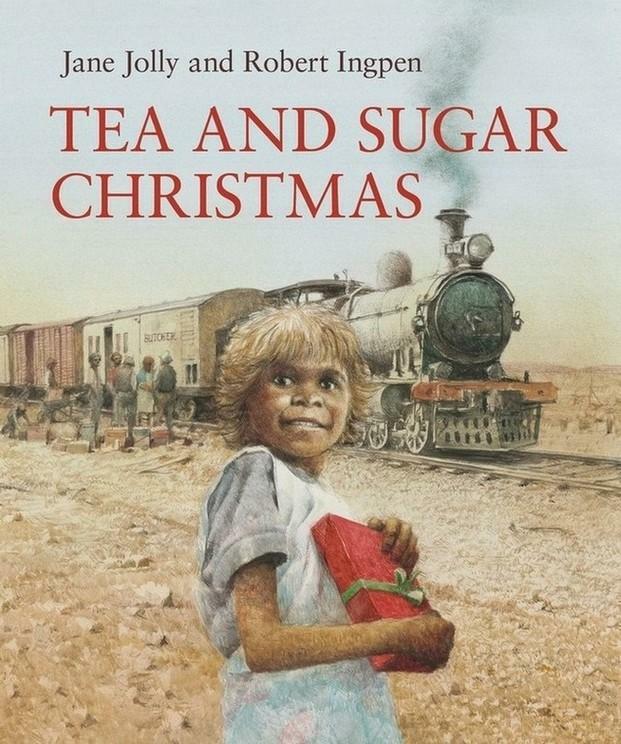 Join Kathleen in the outback as she eagerly awaits the Christmas Tea and Sugar train. Will she meet Father Christmas? Will she receive a Christmas gift from him? A delightful, heart-warming story from the National Library of Australia that will intrigue, captivate and introduce readers to a slice of the past. Wonderful sensitive illustrations by Robert Ingpen, including a beautiful double fold-out image showing the shops inside all the carriages.